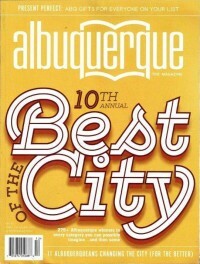 for getting honored for their exceptional humanitarian work by Albuquerque the Magazine in their 10th Annual Best of the City issue. The Duke City Darlins are a local non profit organization with a core mission of giving back to the Albuquerque community. Focusing on children, the less fortunate and anyone in a dangerous situation who need a helping hand. 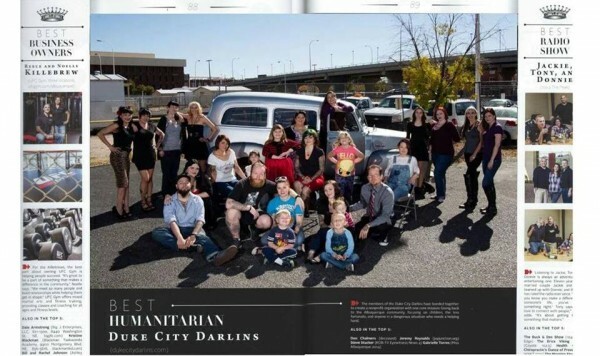 This was the 3rd year that the Darlins won this award for their humanitarian service. Its All About Satellites strives to give back to our community and Aimee goes above and beyond to serve. Thank you for all you do Aimee and all the Duke City Darlins.